Who should do the diet? We have not checked the qualifications of anyone posting here. If you are have any health related symptoms or concerns, you should contact your doctor who will be able to give you advice specific to your situation. I’ve just started the 8 week BS diet and just returned from visit with my dietician. I informed her that I’ve started the BS diet and she said that she read the book and that under Australian guidelines we have to consume some carbs with our meals while being type 2 diabetic. She is not allowed by Australian law to recommend an overseas diet over a diet that she was trained as a dietician. can you help. p.s.I’m a 57 year old male, 98kgs,167cm in height, just had my metformin increased to 1500mg. Hi Johnb28, There is no such law in Australia. There may be a regulation which covers this person’s employment. As someone who put my diabetes into remission in Melbourne Australia using the 8×800 two years ago, I can assure you it is extensively used here. At my clinic my doctor tells me she regularly recommends this diet as a result of my experience. A friend who sees specialists for her T2 and follows this way of eating says her specialists are really supportive of her improved health. Your decision, but get on with it and see for yourself. No one can order you how to eat. I also have Type II diabetes and put mine in remission using the Blood Sugar Diet (and keeping my carbs low) coming up to three years ago. I’m in the UK but I had a similar response to yours from pretty much all my health care team i.e. I needed to eat carbs with every meal, not to do a ‘fad’ diet i.e. the BSD, etc. On diagnosis, I saw an NHS dietitian who was very nice and told me the same as you about carbs. I told her about the BSD and she pulled a face and said she would not recommend it. I did it anyway as it was the only thing around that was offering me a way of potentially reducing my blood sugars and insulin resistance. It worked. I got my blood sugars back into the normal range and lost a lot of weight within six months. When I saw the dietitian at my first follow-up annual diabetic review she was more interested in what I was doing (she could clearly see it worked), but she said she still couldn’t recommend the BSD to me as she needed to follow the NHS guidelines. At last year’s annual review she said she still needed to follow the guidelines but these may change in the future – intriguing. My advice would be to go ahead and continue to do the BSD, keeping your carbs low – and see how you go. Good luck and let us know how you get on. Edited: I was never on Metformin but plenty of posters have been. You’ll find info on their experiences if you use the search box (top right hand corner). Hi johnb, there is still the belief that as diabetics we have to eat carbs with every meal. In the UK and even where I live in France, doctors are not supposed to go off the party line. One of the reasons for advising carbs is to keep your blood glucose high which means you wont be having any hypos, or, in other words, causing them more problems. For older people who are not able to look after themselves properly or forget their meds, or forget to eat, hypos are very common but I dont consider myself in that group yet, even at 66 years young. The problem with doctors is that they are given very little training in nutrition and only think of carbs in the obvious sense like rice and pasta, potatoes, cereals and bread. We all still eat carbs but from good sources like vegetables and slow burning carbs like chickpeas and bean (not baked beans), pulses, nuts and so on. Some doctors are trialling this diet but there are not many of them being ‘allowed’ just yet. The results will speak for themselves and they will soon be recommending this plan to all their ‘at risk’ patients. Hey there BloodyDon 🙂 By my interpretation of your “visit/check” was it like . . . oh well another one has slipped the net . . . by the discovery of . . . ? (Or more one of well good for you finding that out without our help.) Im noting both you and John are Australian 🙂 Johns info is EXTREMELY interesting . . . following exactly in the (unspoken) footsteps of my own experiences with two dieticians, a diabetic nurse and a diabetic advisor. If THEY KNOW why are they still working in THAT industry? No conscience . . .? That is criminal and deliberate, intentional peddling of misinformation. BTW in March my HbA1c was 12.9 . . . Started BSD June 24. Sept. HbA1c 6.9. January 6.4. Quite obviously, Carbs are/can be killers . . . Great results and resolve. All the best to you in your endeavours. Quack Quack. I saw some links about a campaign by dietitians in Australia to get a Doctor struck off for giving advice to follow a low carb diet. The main problem for doctors is they are supposed to ‘tow the party line’. In the UK they follow NICE guidelines – National Institute for Clinical Excellence – even if they are quite wrong. If a doctor were to support an 800 calorie a day diet plan to a diabetic and they were to go into a coma, I think the doctor would be in big trouble. They have their hands tied until our knowledge catches up with the general way of thinking. It is happening but we have to be patient, no pun intended. OMG JGwen! Thats unbelievable. For once . . . Im speechless at such thing being possible in this day and age. But then its becoming quite obvious manipulation of the masses, PC and politics have spread further than we think. Duckie, You may find these articles interesting to explain what happened. While he was finally exonerated it took years for that to happen damaging his career during that time. As I read the ABC article it was a “demarcation dispute” between one medical trades union and another, based on what an independent parliamentary enquiry held was a “vexatious complaint” from one of the trades unionists (a dietitician). It’s hardly in the realms of “one swallow makes a Spring” is it? Hi Don! No problems 🙂 I just find it difficult to understand when diabetes is a world wide issue . . .why are there differing formulas for treating it? WHY do Australians receive information of requiring 25% carb at all three meals – reinforced when we are given a cardboard-cutout of an entree size plate divided into three portions when attending nurses and advisors . . . this isnt uniform worldwide. It is a known fact pharmaceutical companies push their own barrows . . . how, we will never know nor presume scenarios here . . . . 🙂 but I will say the diabetic nurse I was directed to see . . . has been revisited and wasnt at all interested in hearing of, how or why I had such dramatically better results – no acknowledgement I was now both slimmer and with better BSL’s . . . The diabetic advisor I was directed to see . . . told ME my diet was perfect – (with grateful thanks to MANY people, my daily serving of rolled oats – (later to be the culprits of readings of 18+!!! two ours after eating . . ., and crispbread cheese, meat/tomato etc lunches – (drawing similar results! and both on the recommended diabetic eating chart!!!) – I discovered the perfect diet as logged and checked by both these “specialists” a dietician AND two GP’s . . . was literally killing me). Quickly dismissing any further food discussion, the next subject began . . .” with critical BSL’s – and no meds suiting you, here is the medipen . . . and in this small container – (indicating the end of the “device”) – is your monthly requirement for insulin injections . . . its easy to use and doesnt hurt a bit.” Well Dr MM’s WoE doesnt hurt a bit either . . . and my HbA1c has decreased from 12.9 to 6.4 in 7 months. Imagine if I’ve caved in to injections and was still having oats for breakfast . . . 🙁 what a tragic seesaw I would have been living on. Consider conspiracy is a dirty word but . . . why would this BAND of people ALL say the one thing when another was true? Anyways . . . thankfully I wont be visiting ANY of the so called specialist any time soon. 🙂 Thanks for your response/perspective to JGwen’s links. I need to make mention there (has only been one mind in many medical discoveries who believed in “whatever” they were passionate about discovering how “it” works, or a cure for, treatments for or against through-out time). There was only one – Dr Michael MoseIy – starting the ball rolling in investigations leading to the 8-week BSD book and his now ever-growing band of converts and followers proving its worth to their health and well being with undeniable/unbelievable results. I also hasten to also note, one can only wonder why there were no real people studied and monitored before the committee drew their conclusions . . . why . . .? because I doubt the REAL answers and truth were written on the walls of their meeting room or etched in the table top 🙁 ? Always great to share perspectives . . . and now . . ? its time to drag out the pom poms for a quick routine while the kettle boils. Its coffee time!! Neil Diamond’s Hot August Night today!!! Quack. Quack! I am in the UK and had raised blood sugar. I had a good appointment with the NHS Diabetic Nurse at our General Practice. 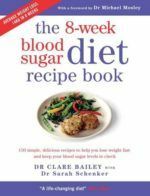 The nurse actually recommended the Blood Sugar Diet and also a very good book by Diabetes.org.uk – Carbs and Cals. Hi I’m someone with a fatty liver issue but not alcoholic and I recently had to have a liver function test but had been putting it off because I had gained weight and that affects the result. I explained this to the doctor and i said it wasn’t a problem as I’m cutting out the carbs as before and he said ” that’s right we should all cut our carbs down” I was very pleased with his reaction as perhaps even GPS are getting the idea at long last. Things are changing with dieticians… but it’s a lottery as to who you see and what they’ve been taught / told / read etc. My last dietician I spoke to said she’d heard of the Low Blood SD and Dr MM and seen some info on TV, but hadn’t seen anyone who’d followed it before. I filled her in. I was looking to get some advice on bettering my intake to help the cholesterol as after 6mths it hadn’t moved much. She gave some thoughts. My first meet with a dietican many years ago was totally useless and frankly insulting (Scotland). Considering that in Cambridge there is now the first NHS LBSD clinic and I gather the shakes are to be promoted through Dr’s and NHS generally I think more will change soon. (Here in the UK anyway). So I think education in food is what I know I’ve needed. Please log in or register to post a reply. Find out more about Dr Mosley's latest findings in healthy living. The Fast 800 brings together the latest research in what we eat, how to exercise and mindfulness. The new recipe book is out! You can also find Michael’s books on the original 5:2 Fast Diet, the Blood Sugar Diet, Fast Exercise and more. Gut Healing Super Green Soup! Back after a year in the wilderness…and an oats related question! 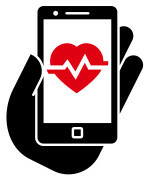 Want to know how much exercise you're getting or check on your vitals at home? Here's a selection of products we found which might help.